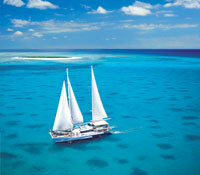 Ocean Spirit I is a very large sailing catamaran that takes passengers out to the beautiful Michaelmas Cay. 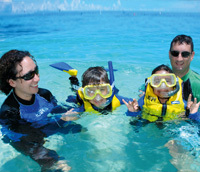 Snorkel over coral gardens, cruise in the semi-submersible, watch the fish feeding presentation and explore the island sanctuary. 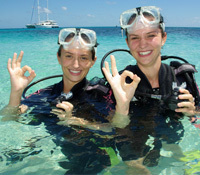 For the more adventurous, introductory diving is available. Or if you prefer, you can relax and soak up the tropical atmosphere under the sails and enjoy a leisurely day on the Great Barrier Reef. A delicious hot and cold buffet lunch along with morning and afternoon teas are included in your day.